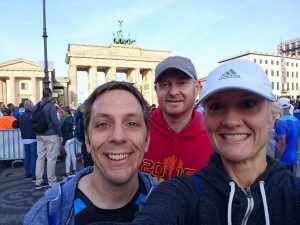 From the London Marathon, through to strongly supported roacl races. Members have the chance to push themselves just that bit further. A friendly club ready to welcome you and your family. 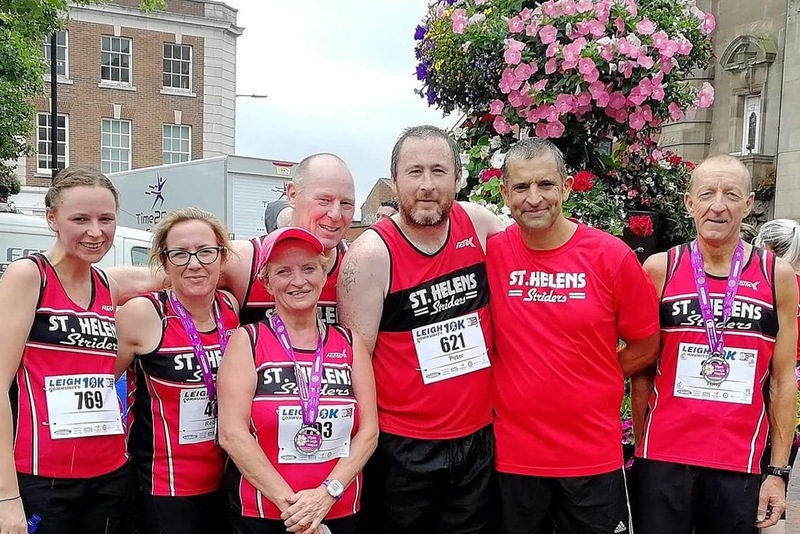 Founded in 1984 we've been at the heart of running in St. Helens for over 3 decades. 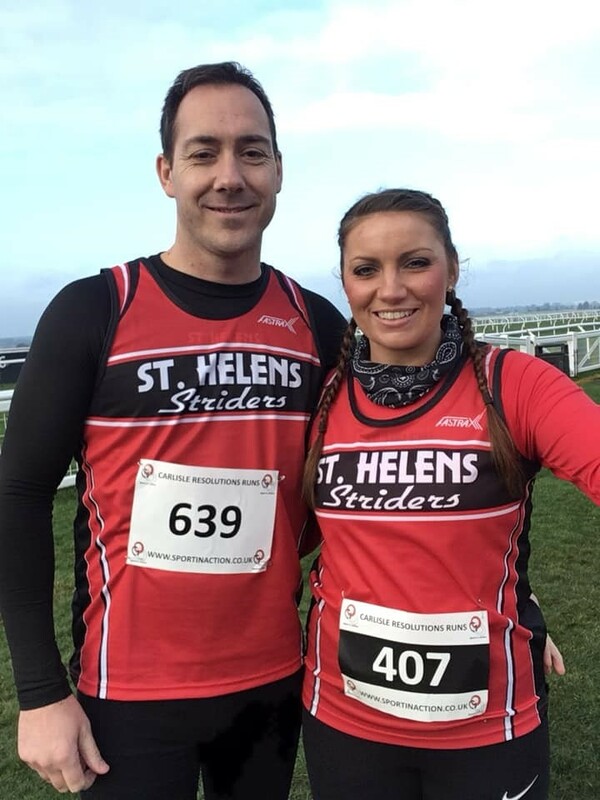 Keen supporters of the St Helens 10k. Members have the chance to help other local runners and race in front of friends and family. We run every Monday and a Wednesday, meeting at 6:50pm at our base (Windleshaw Sports Club, Windleshaw Street, WA10 6TD), and heading out to run at 7pm. 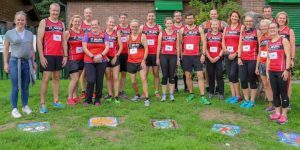 We encompass a wide range of ages and abilities and run several different run groups, each one following a preset training programme which is available to members each month. Training is varied, covering everything from hill repetitions to long runs and fartlek. 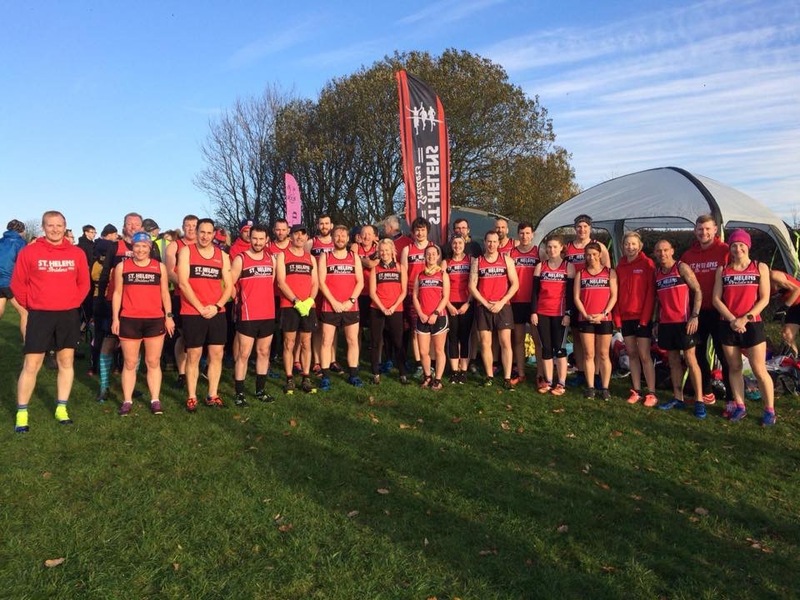 Whether you want to get a new PB, improve fitness or just make running friends, then we are the club for you. 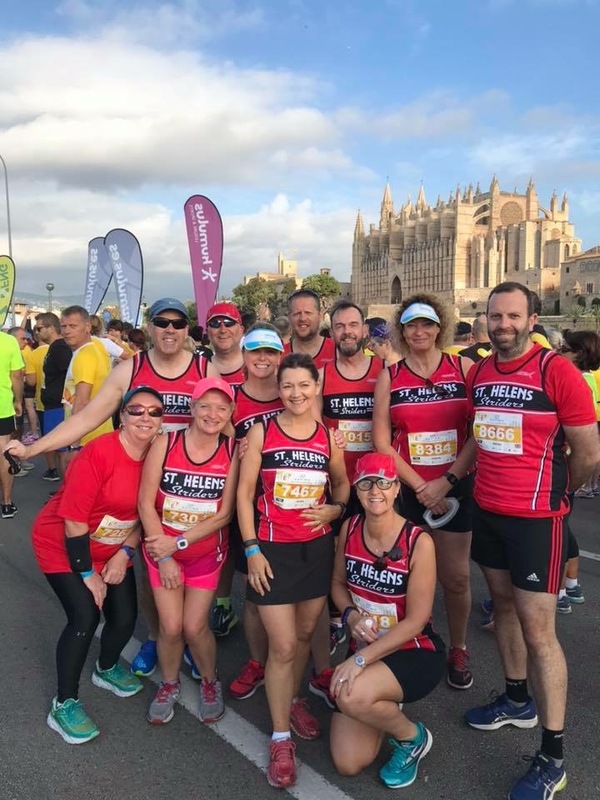 We are a friendly club that believes running should be enjoyed not endured. 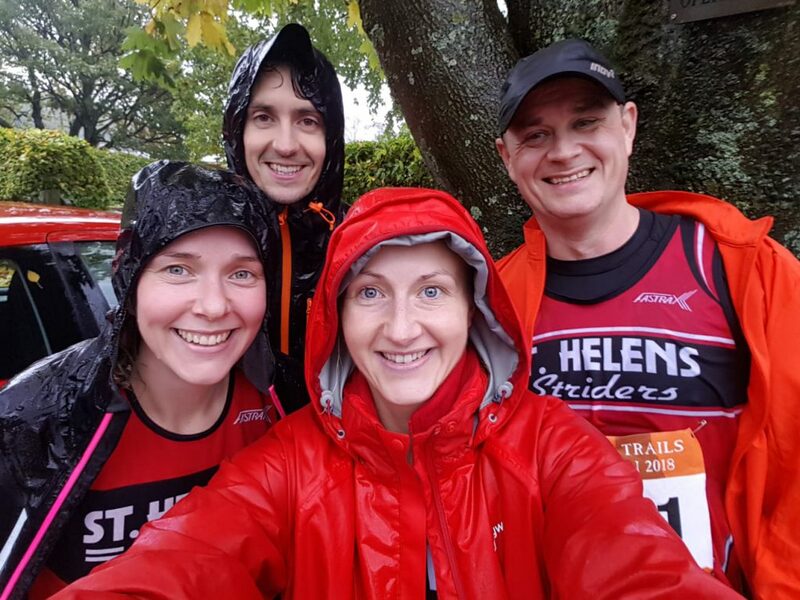 A team of St. Helens Striders athletes travelled north to the shores of Lake Windermere to take on the Hawkshead Lakeland Trail Challenge. And a challenge it truly was, with one notorious climb known as The Coffin Trail testing even the most hardened hill runners amongst them. Kevin Cairns, in his last trail race until the next one , completed the tough 16km circuit in an impressive 1.34. Not far behind was the tireless Pete Medlicott, crossing the line in 1:42. 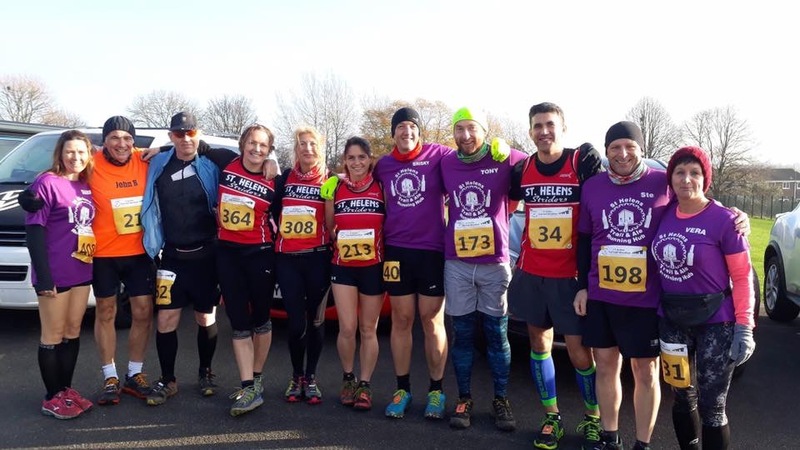 Other hardy souls to conquer the course were devoted spouses Gerry and Andy Shaw; the dynamic duo of Claire Blennerhassett and Rebecca Mckenna; lovebirds Daniel Tetlow and Susan Kerfoot; as well as Paul Carr, Simon Poole and Gary Ward. 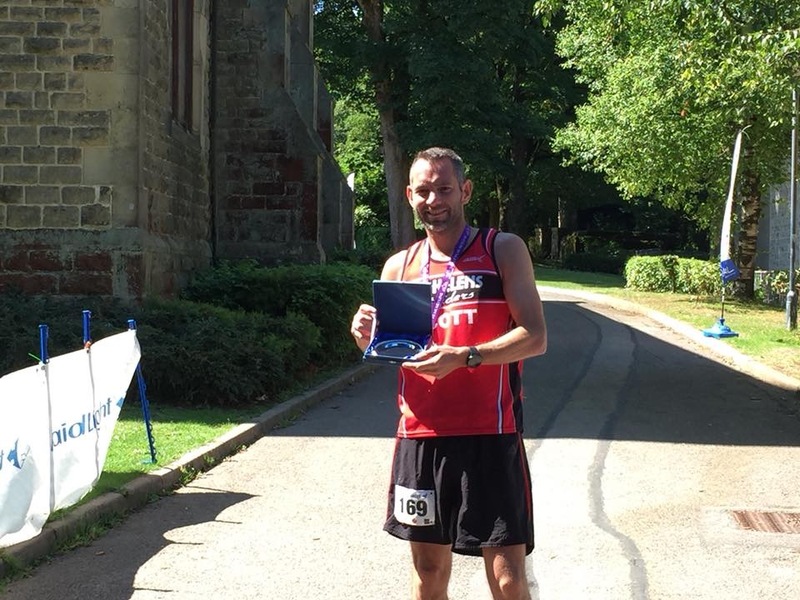 Paul Booth was also on his travels as he competed in the Colwyn Bay to Prestatyn Coastal Half Marathon. Despite battling illness, Booth finished in a highly respectable 1:50, securing a top 100 finish in the large field. Top traveller of the weekend, however, was Ian Spencer. 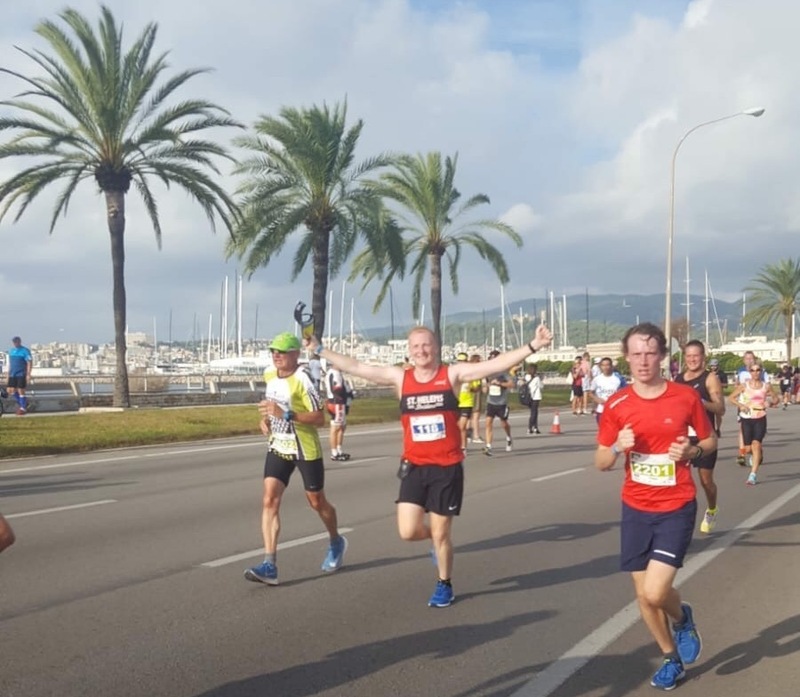 In sunny Mallorca, he completed the Puerto Pollensa 10k in an excellent 58:32. 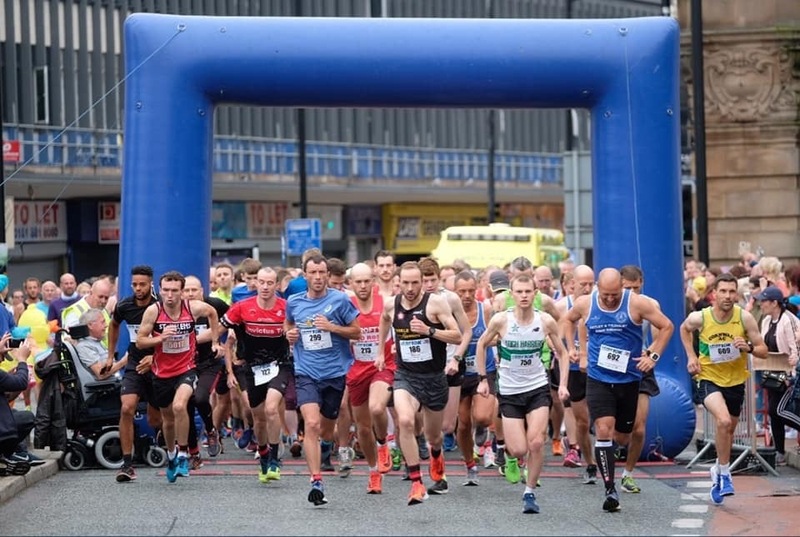 Closer to home, the Tunnel 10k saw athletes race under the water from Liverpool City centre to New Brighton. First Strider home was the ever dependable Eric Ranson in a time of 41:03. Next came Danny Fegan with a strong finishing 43:14. First lady was Cherryl Orrick, who battled the windy conditions to finish in 50:14. Rachel Tickle was next, followed closely by Debs Hill. 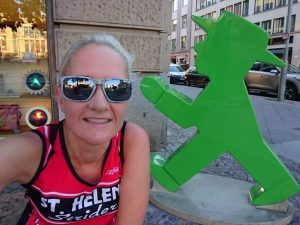 For Sharon O’Connell, there was a trip to the iconic Olympic Park in London for the Chase the Sun 10k. Inspired by the heroics of 2012, she broke the club V45 record in a magnificent 47:07. 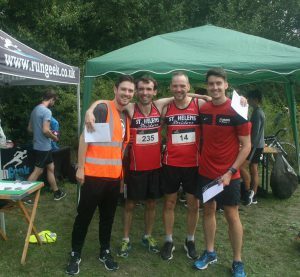 A duo of multi-skilled Striders displayed their swimming and cycling pedigree alongside their more established running talents at the Edge Hill Triathlon. The rapidly improving Elaine Porter completed the event in 1:32, with Mike Cox not far behind in 1:40. 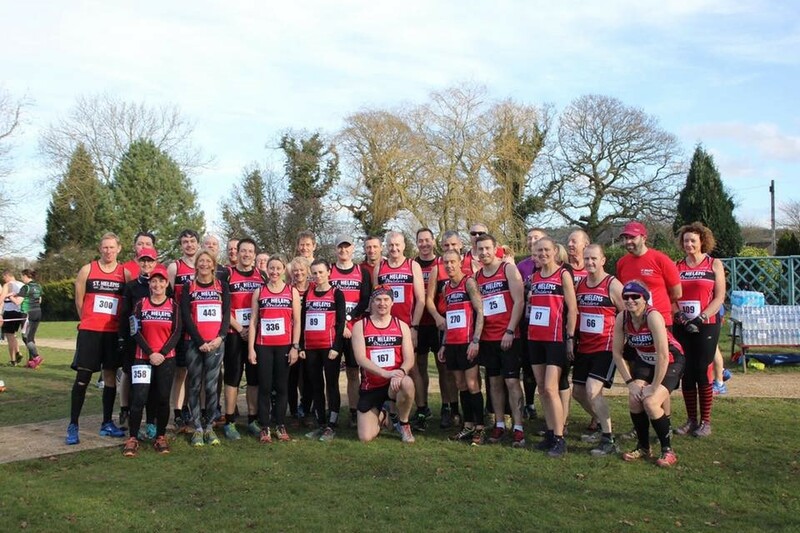 The Striders travelled to Beacon Park in vast numbers for the second cross country event on the calendar. 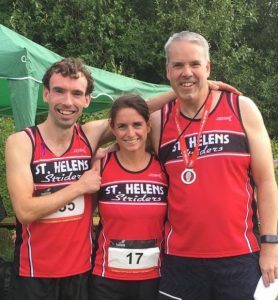 The St Helens Striders unparalleled togetherness and team camaraderie made many other clubs watch on in amazement. Kelly Hamilton led from the front finishing 1st lady overall and to the delight of her fellow teammates. Not far behind her, her good friend and teammate Rachael Fairclough, cutting herself through the pack like butter, deservedly made second lady and a one two for the girls. Hannah Whittaker dug deep to finish 7th. 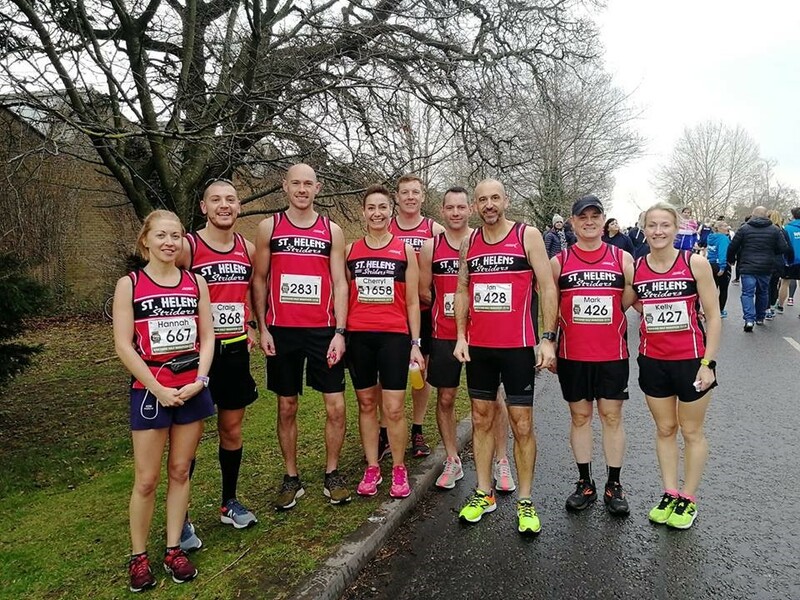 There were some serious debuts for Anthony Ellis, Zoe Fillingham, Elizabeth Phillipson, and the fastest signing to date Chris ‘Curly’ Hazeldine, who crossed the line as first male finisher for the Striders and 17th overall. 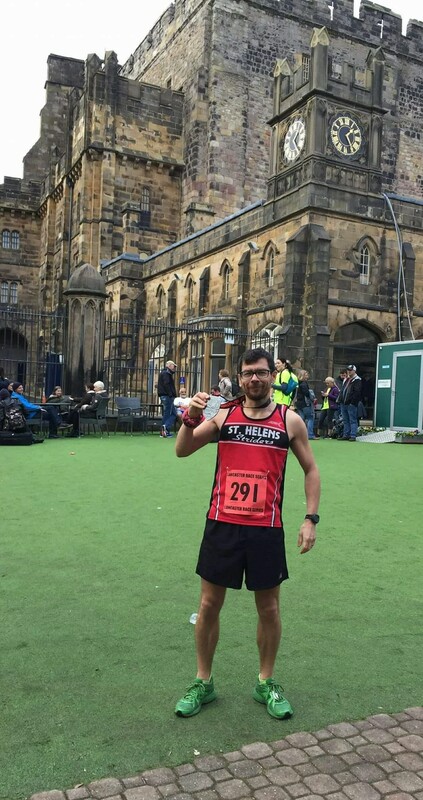 In the 13 Arches Half Marathon, the utterly indefatigable Kevin Brennan finished 1st Strider home in 36th place in 1:34:24. Claire Scott, having mercilessly exerted all of her energies, successfully banked 1st V45 in 1:45. Ann Johnson, Sharon OConnell, Karl Bowles, Vera Langley and their greatly esteemed navigator David Brisco, made for a closely guarded cluster of support which paid dividends with them all finishing strongly. 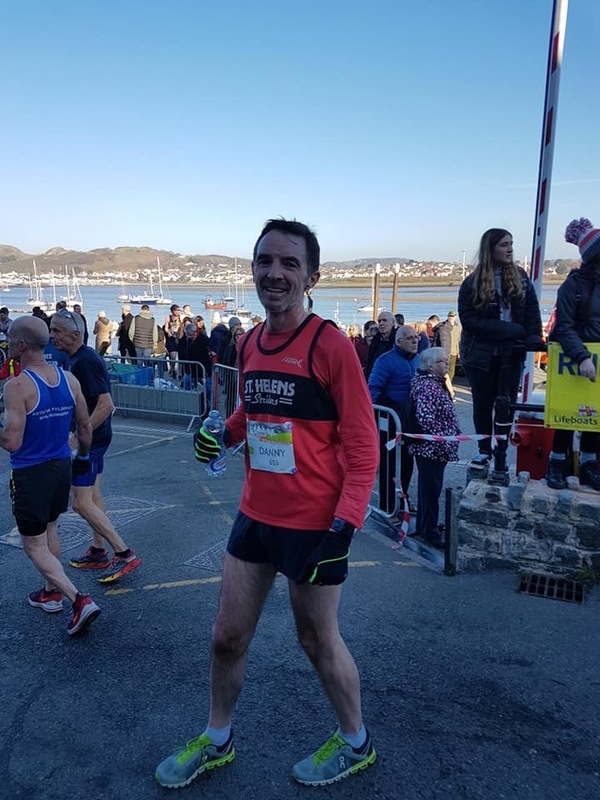 In the Conwy Half Marathon, Danny Fegan treated family and friends to yet more heroics finishing with a fantastic spurt of energy in 1:38:00. Katie Taggart meanwhile with her longstanding teammate ‘Pistol’ Pete Medlicott, proved yet again a successful partnership. 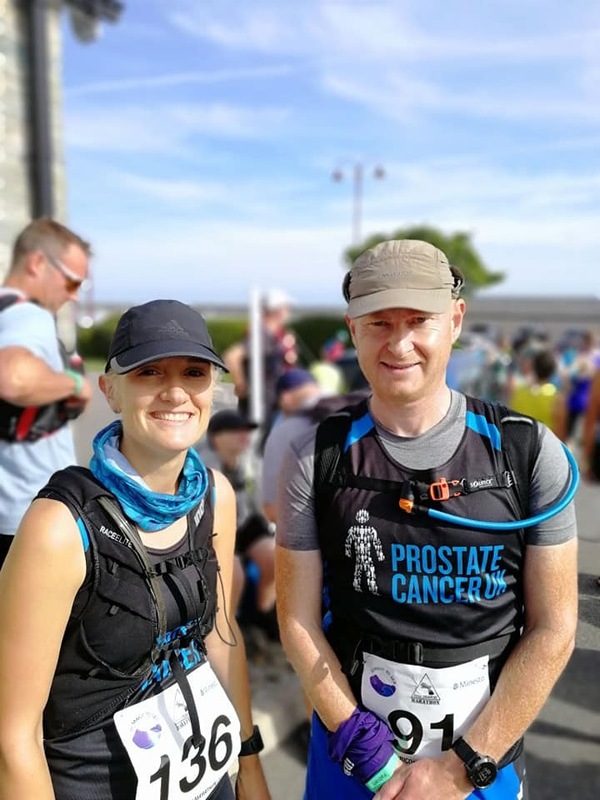 Katie when asked about her thoughts on the race stated, ‘The beautiful scenery took my mind off the pain when I was running up the Orme’. 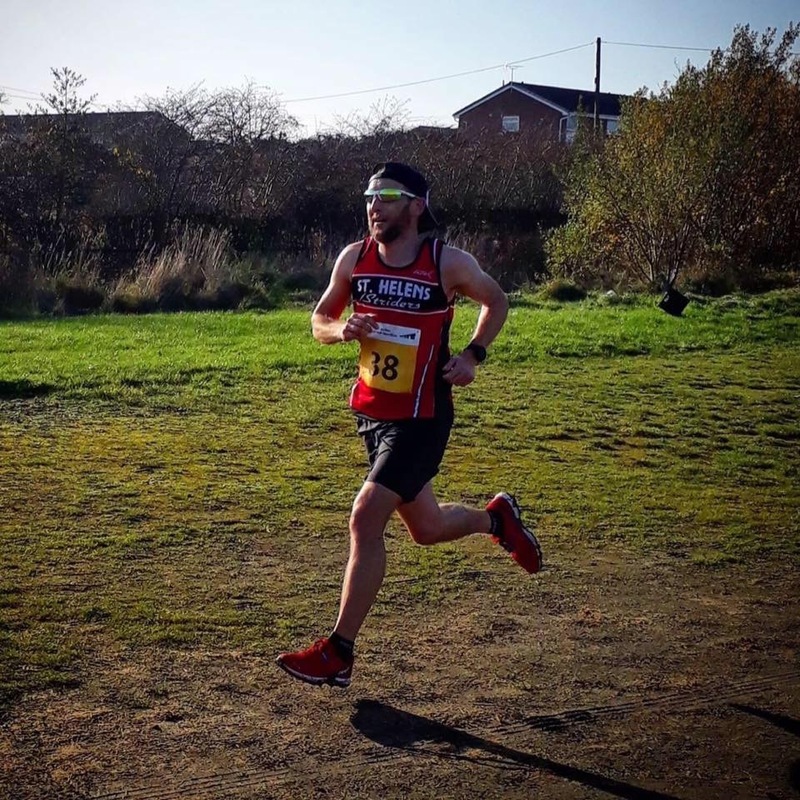 Elsewhere in the Preston Harriers 10 miler Brian Davies secured a PB in 1:31:21. 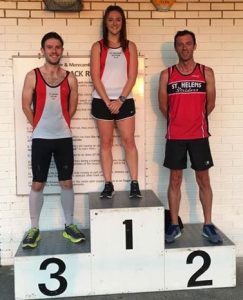 And in the Republic of Ireland at the Buncrana ParkRun, Co. Donegal; Jon-Jo Doherty broke the course record in a time of 16:48. 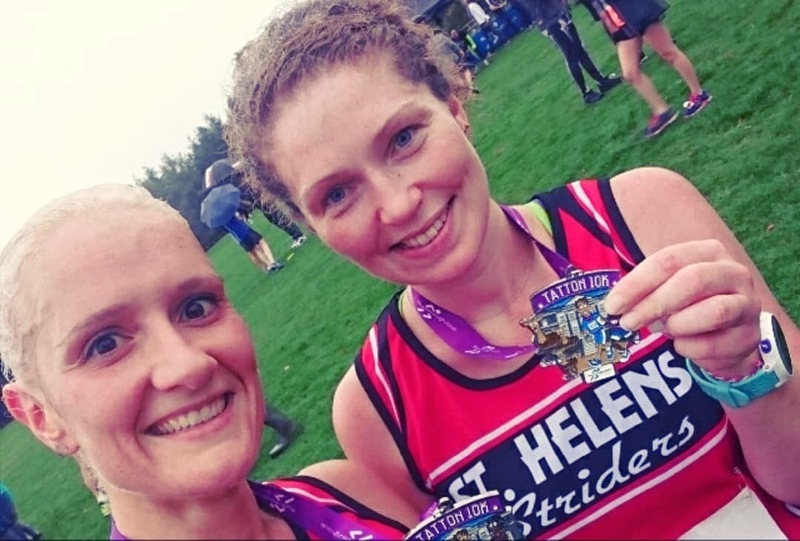 The weekend before bonfire night was a real sparkler for the St Helens Striders. Getting the weekend off with a bang was the effervescent Collette Flaherty who competed in Punk Panther’s ‘A Short Circuit’ race. This confusingly titled race is actually 53km long set against a stunning backdrop. Flaherty whizzed around the course to finish as 3rd female in an impressive 7:39:11. 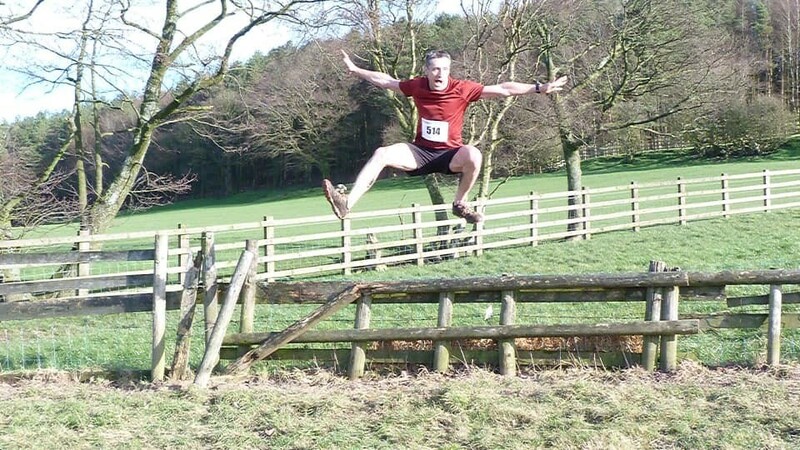 David Wilson shot off like a rocket at the Halewood 5k. 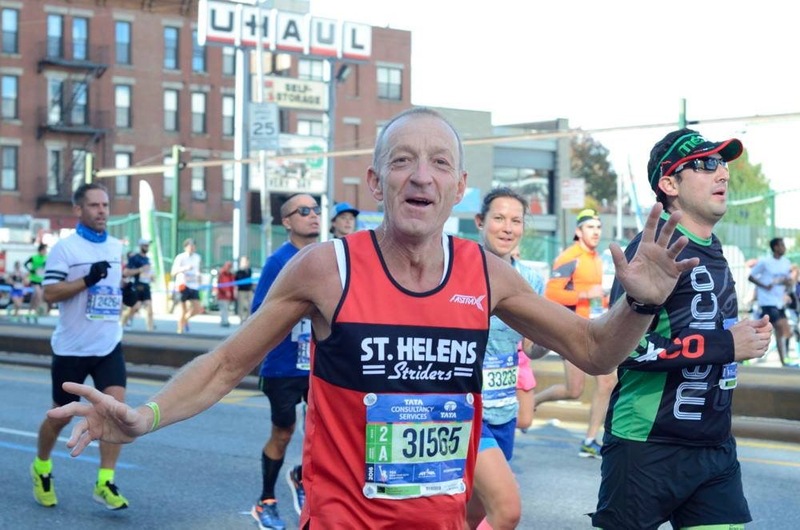 The club’s marathon record holder ran an accomplished race setting a new personal best at this distance of 16:44. Sparks also flew at the Leeds Abbey Dash 10k as Kerry Riley knocked nearly a minute off her previous best time. Her fellow Striders were delighted for her when she finished in 52:46. 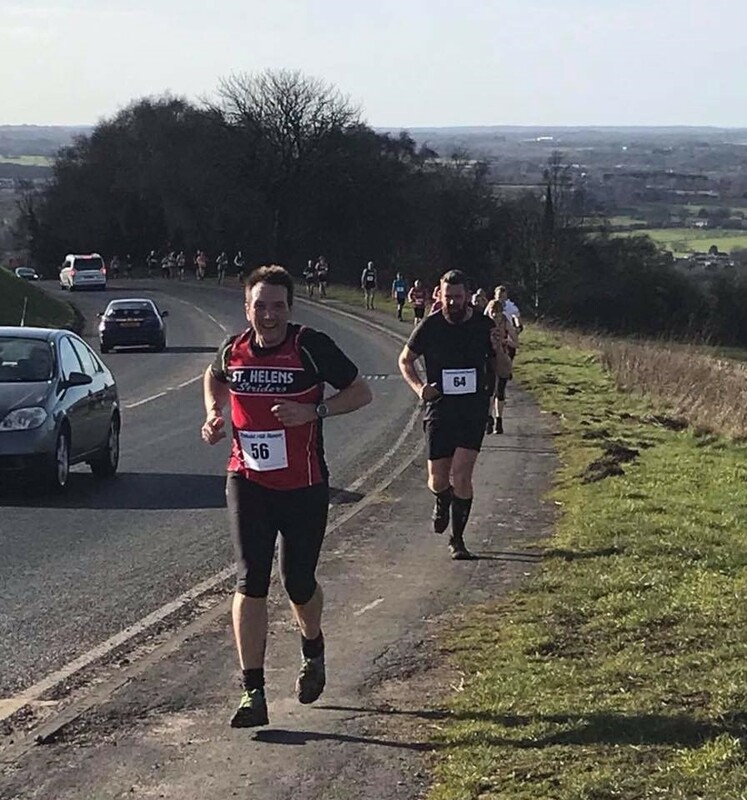 Husband Mark Riley led the Strider pack in 39:58 closely followed by another husband and wife duo Kelly Hamilton (40:22) and Mark Hamilton (48:38). Three Strider Firecrackers raced the half-marathon distance on Sunday. Kevin Cairns and Sue Heaps travelled to Lancaster where they completed the course in excellent times of 1:42:59 and 1:57:35 respectively. 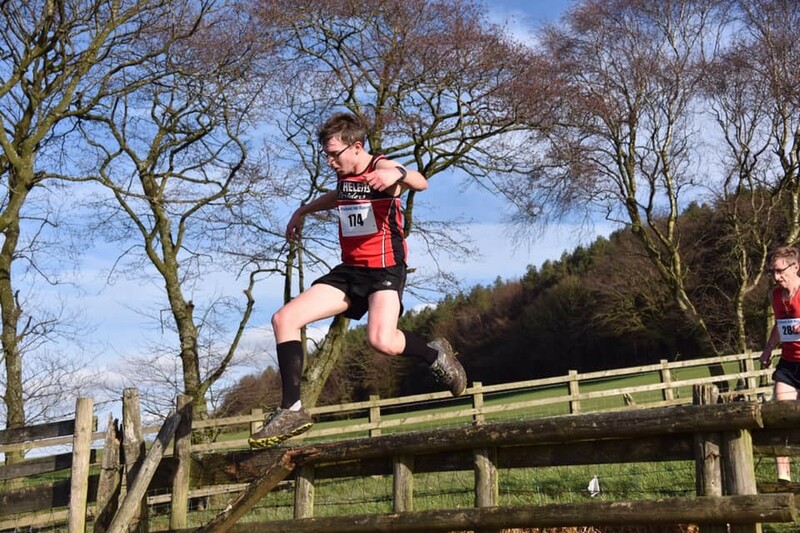 Scott Robertson’s explosive pace saw him finish the Tatton Park half in 1:28:21. 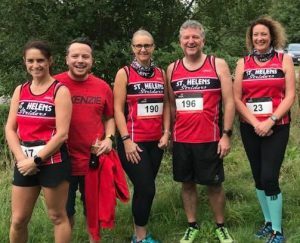 Sunday was the St Helens Striders annual Trail 5 mile race around Carr Mill Dam and the surrounding area. 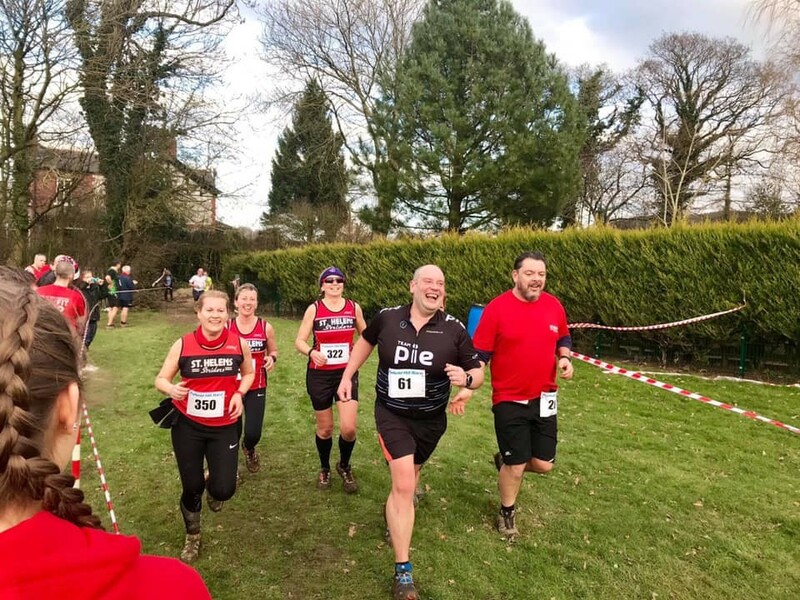 It is a particularly leg-burning course but hugely popular with local runners who enjoy the mud, hills and scenic route. Race director, Rachel Tickle, and her band of volunteers all clad in Strider red, ensured the race ran smoothly and was enjoyed by all. Club members all commit to marshall the race to make it as lively as possible for the runners. 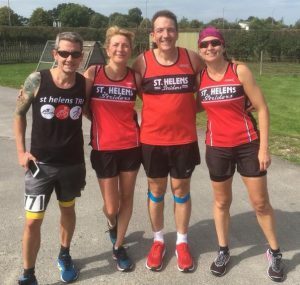 However this year, Striders’ luckiest man Mark Fillingham, won a charity raffle to run as the sole Strider, ensuring his hand was as hot as a bonfire after all the high fives he received along the course! 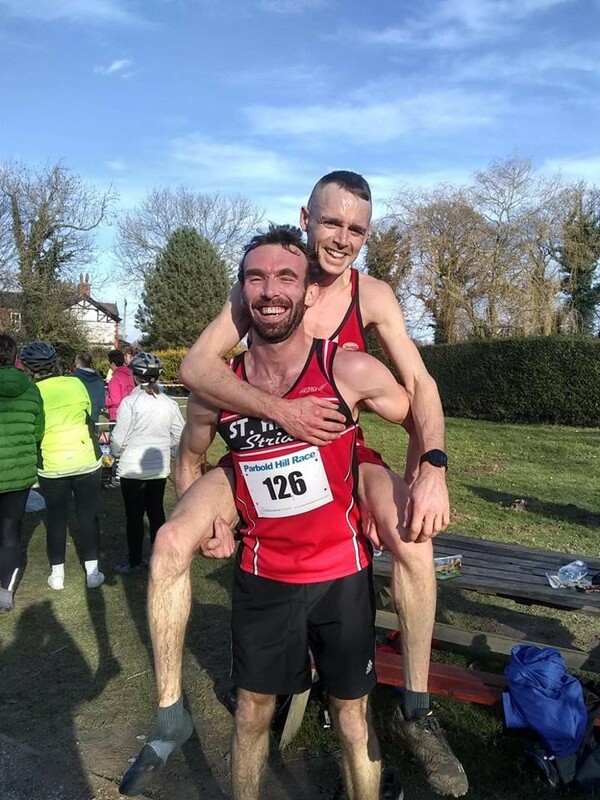 In the Leigh 10k the Striders were a force worth reckoning: Jon-Jo Doherty led his teammates home in 34:30 finishing in 5th place. Eric Ranson came next, with rapturous support from his fond sweetheart ‘Shazbat’, finishing in 42:13. Tony ‘Daggers’ Dagnall determined himself and produced yet more magic with a time of 45:26. And Rebecca McKenna was also on the score sheet with a seasons best of 57:33. But it was the Striders towering figure of Peter ‘Pan’ Teeling who stole the show! Undoubtedly a legend amongst his Strider cohorts he mustered a very special Personal Best of 46:11. 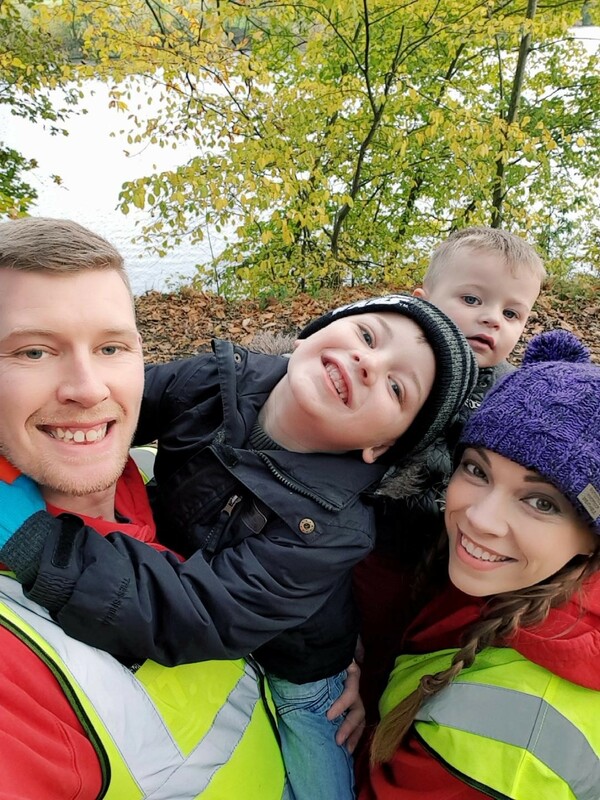 When asked about his contribution he commented; ‘the dedication and striving coupled with the camaraderie has helped add to my overall success this year’. And the longest time served Strider John Lingard, with his outstanding knowledge of the clubs history, his unreserved loyalty and continued efforts, valiantly finished in 49:57. Whilst out on his holidays the ever jovial and enthusiastic Les Abbott, astonishingly decided on the off chance to take on a race in the mountains of Switzerland! And delighting his beloved wife he finished 2nd in his age category. 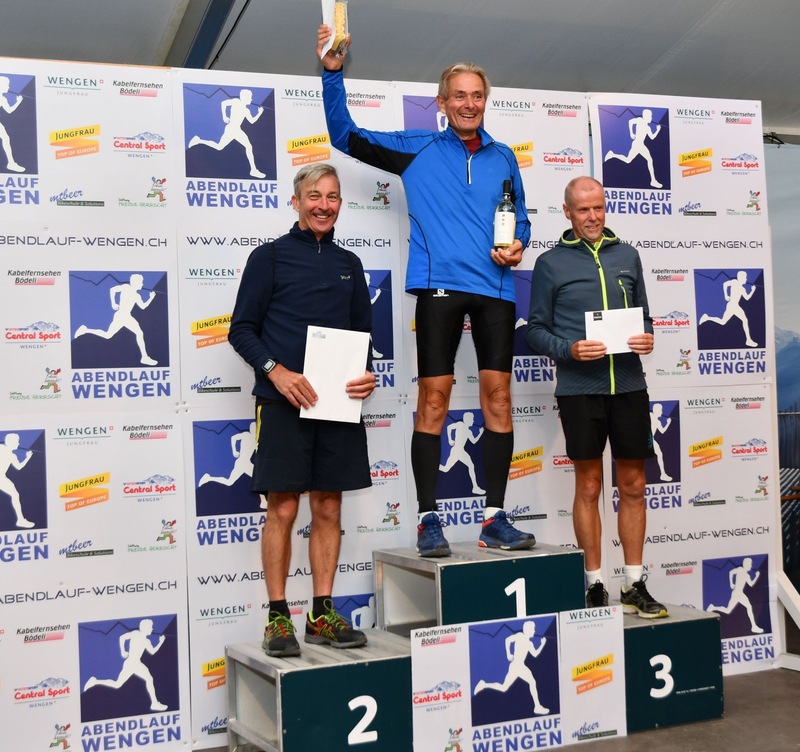 Racing in tough conditions, 1233 meters above sea level at Wengen in Switzerland, the race started in the town and took on tough mountainous trails. In the Tatton Park 10k Brenda Cahill in cruise control adopted a strategic approach of attack. She never let up, securing a time of 51:42. 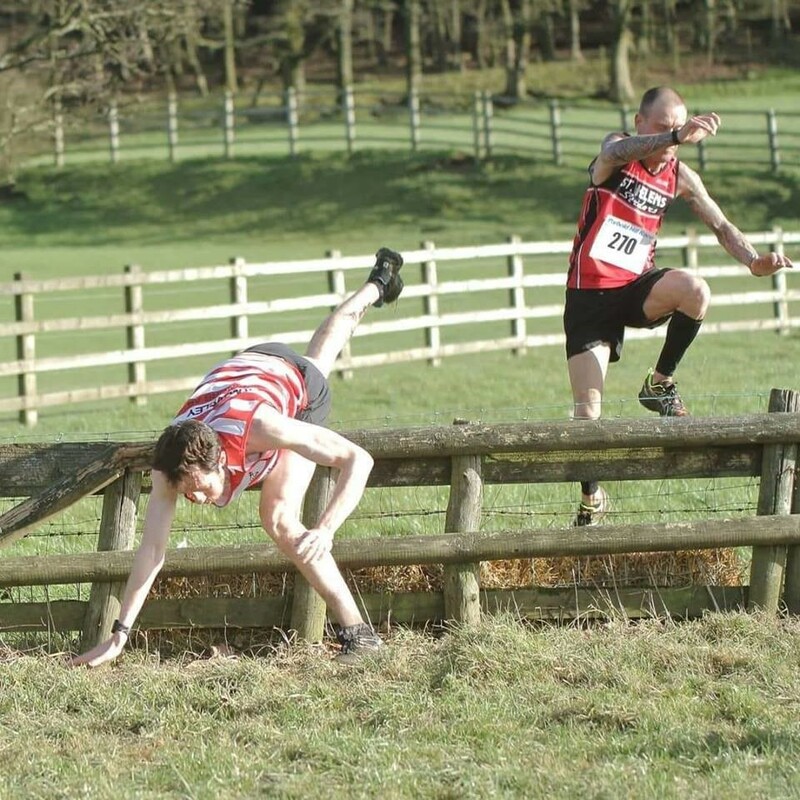 It is known as a fast course and the event is held within the beautiful grounds of Tatton Park in Cheshire. And finally Adam Pointon took on the Dublin Half Marathon. In 1:49:29 the young whipper snapper goes from strength to strength! Katie Taggart and Pete Medlicott at the 1st ever Cybi Coastal Marathon in Holyhead Around Holy Island, Anglesey. 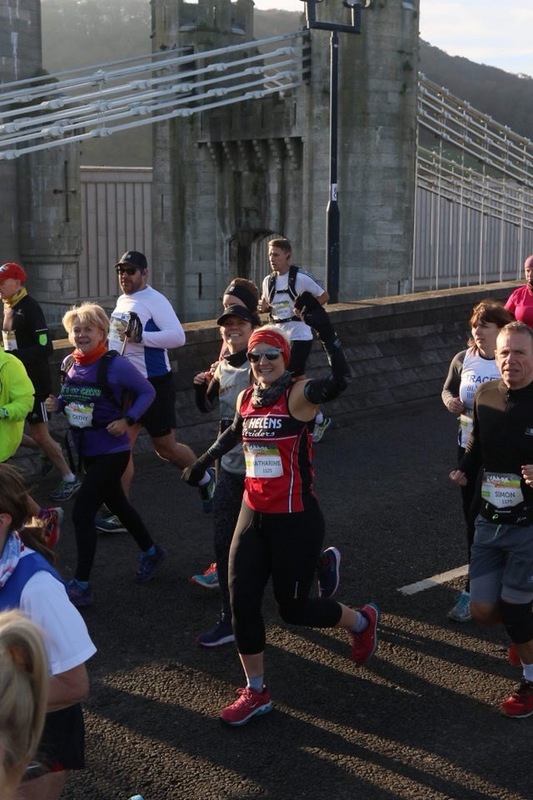 Aspirations are for the Cybi Coastal to establish itself as one of the most scenic marathons in the UK. Katie and Pete were fortunate as a limit of 200 entrants were allowed. 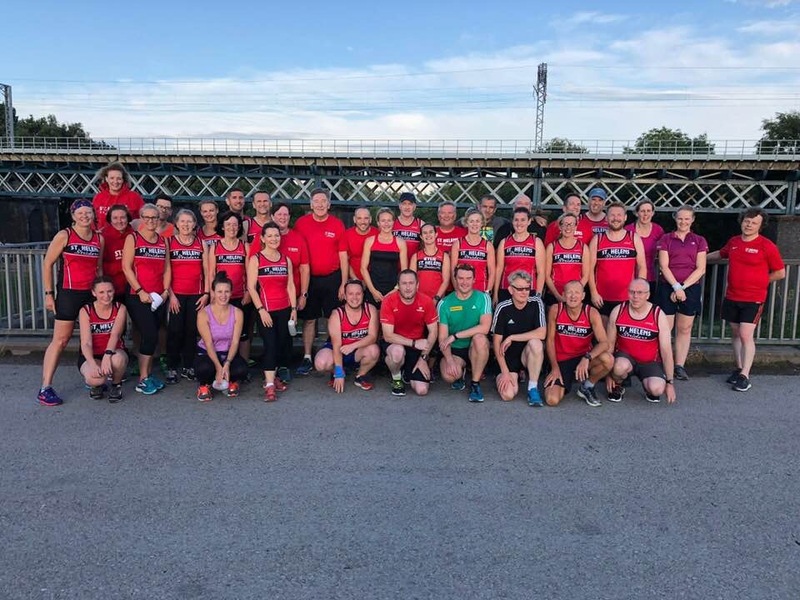 In the Sale 5k Sizzler on Thursday evening, Clare Pickavance with her charm and wit decidedly pushed forth with increasing ingenuity reaching another milestone with 24:36. Ste Pickavance her good husband jovially questioned her performance as she has now pushed ahead of him in recent time calculations. Congratulations, Jackie Dobson and Christine Humphrey, both towering legends of the Strider force. 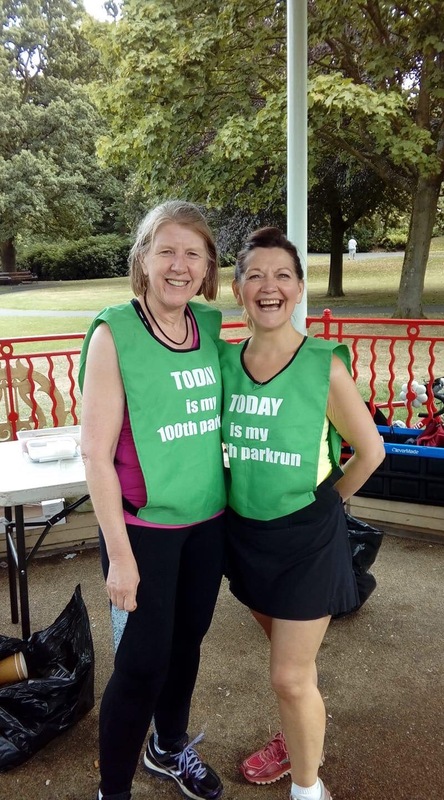 These two delights completed their 100th Parkrun; and to rapturous support. They have frequently given up their time for this event, and continue to make a stirring difference in the local community. It was a week to remember for the enthusiastic and jovial Frank Mcalister; his adoring followers and the renowned ‘Strider Handicap’. 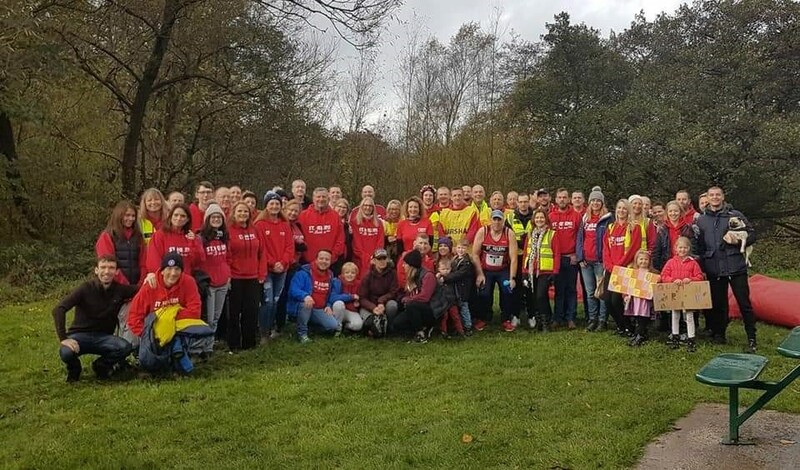 Frank who is a honorary member and was an integral part of the early Strider period, puts on a session which allows all members to inclusively race together with a spirit of togetherness and comradeship. 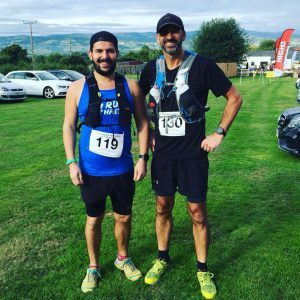 Two Striders tackled the Peak Skyline 25k: held in the Peak District in one of the most popular National Parks in the UK, split into the White and Dark Peak areas. White Peak for Limestone, Dark Peak for Gritstone. This Peak District Skyline takes place in the White Peak area, but the course crosses its fair share of gritstone and moorland. 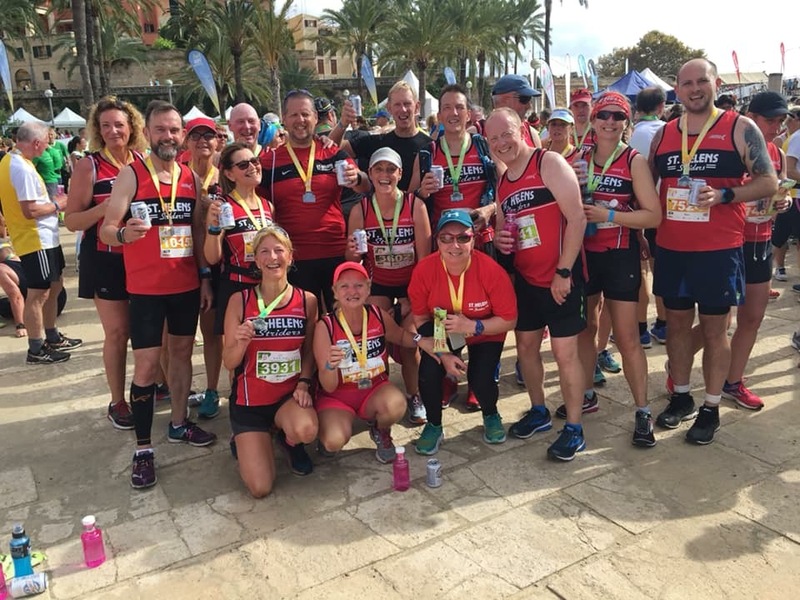 The Striders enjoyed a double success with Scott ‘the Rocket Robertson’ finishing in second place overall, shortly followed by his longstanding teammate Ian Wright in 6th place. They took on the gritstone and moorland with heroic efforts.